Mincio 704 Scale 1:20 Length 450mm. This is a reproduction of a typical inboard engine boat, as can be seen on lake Garda or Venice. The construction is keel, frame and double planking. The first layer in balsa wood and the second in Mahogany. All parts are laser cut, accessories and motor are included. 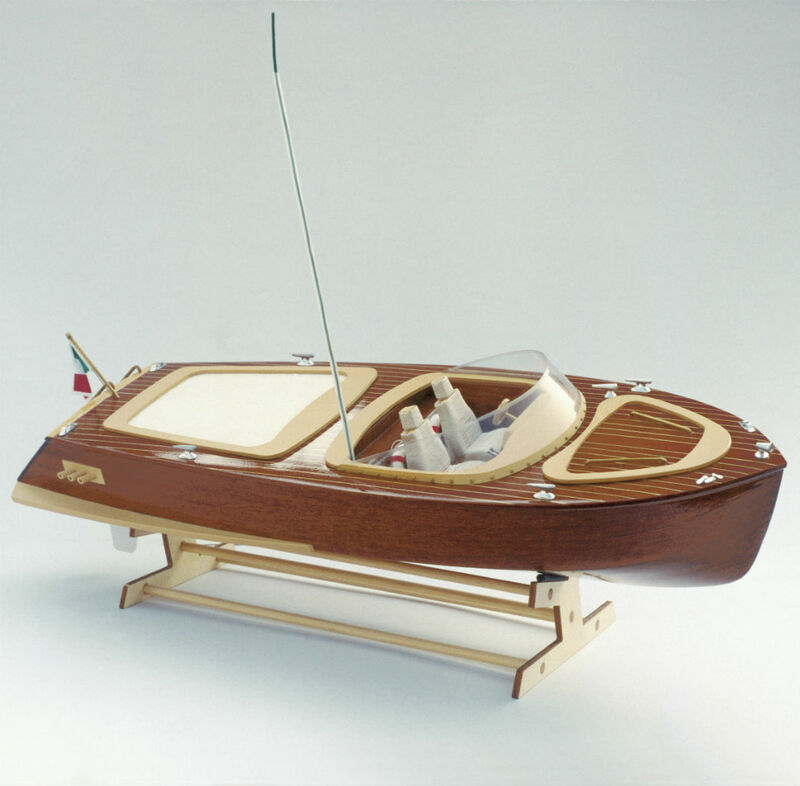 Ideal plank on frame RC boat.